HEGA was formed by a group of like-minded people whose main interest is having fun with horses, safely. We have found skill at arms (SAA) and associated horse activities to be something different and interesting to do with a horse. We are also interested in other equestrian activities (from cow work to cross country and much in between) and in the fundamentals of good horse training (of whatever discipline). Andrew Beattie, the head skill at arms instructor, has participated in historical equestrian activities for many years. The other foundation HEGA members have many years of equestrian experience between them but have come to skill at arms more recently. The foundation group members have performed at Ironfest, Lithgow (2014-2017), Winterfest Medieval Fair, Parramatta (2014-2016) and the Hawkesbury (2017) and the Eureka Stockade Anniversary reenactment, Camden (2014) (see link for news story). Andrew has extensive experience in martial arts, weapons and fighting techniques. 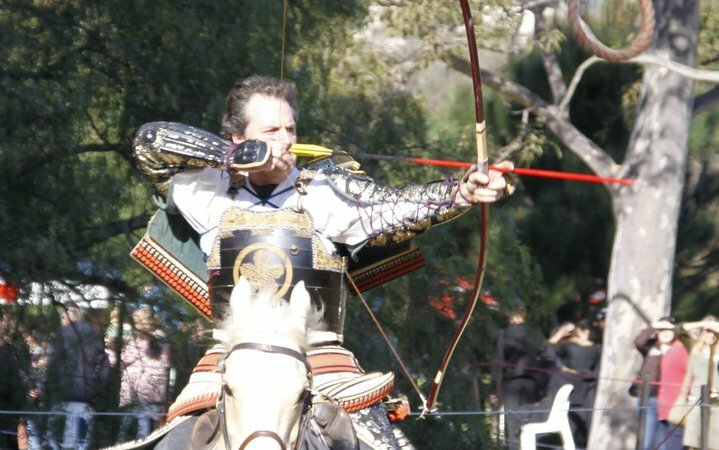 He is one of the highest ranked Australian practitioners of the Japanese martial art of Bujinkan, which encompasses not only unarmed combat but also weapons and horseback martial training. Andrew has studied Bajutsu, which is samurai horsemanship and horse archery. 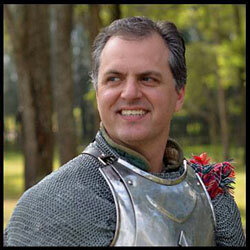 Andrew’s foray into mounted skill at arms and jousting was an extension of his interest in horseback martial skills. 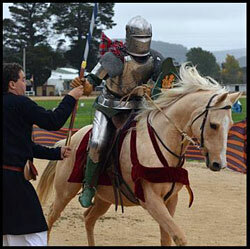 Andrew has been a steadfast competitor in the skill at arms and joust competitions across Australia and New Zealand, and as a competitor representing Australia in international tournaments both mounted and unmounted. Wins have included individual tournament champion in the 2010 ‘Worlds’ Knight’s Challenge Tournament, Taupo, skill at arms championships across Australia and New Zealand, and World Championships open sword on foot. Andrew is also a stunt performer in film and television. He provides technical support and performing skills for fight choreography, arms and armour fight techniques, historical and technical information for the film and television industry. Eleanor and Fiona bring a range of equine training experience to the clinics. They have both been doing skill at arms (SAA) since 2013 and have participated in SAA at Ironfest and Winterfest 2014-2016, as well as the Eureka Stockade anniversary reenactment in 2014. Other horse experience between them is working with young, unhandled and problem horses, starting horses under saddle, trick training, training show horses, some dressage training, and more recent training in cow work and Western riding. They also both have worked with clicker training with horses.